iBeacon is the one of the newest offering from Apple Inc. for the micro-location technology in mobile application development. In this article, we discuss the Bluetooth-powered location system that could shake up retail, travel, m-commerce and more…. 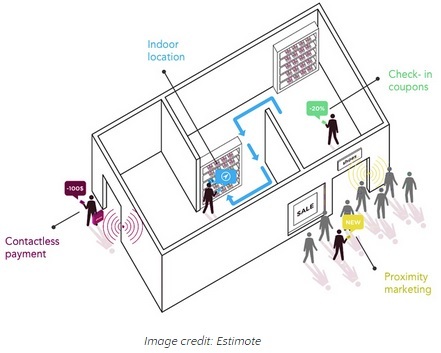 iBeacon as Apple’s implementation of Bluetooth low-energy (BLE) wireless technology is harnessed to create a different way of offering location-based information and services to iPhones and other iOS devices. Now, even though an Apple iPad can both emit and receive an iBeacon signal, Apple doesn’t make the beacons itself. In fact, these come from third-party manufacturers like Estimote, Qualcomm, BlueSense, BlueCats, Gelo, to name a few. To ensure compatible with iOS devices, Apple has announced the need for manufacturers to have a license for building beacons for iOS products under the MFi Program. As a technology that extends Location Services in iOS, iBeacon picks up signals beamed from any iOS device that supports sharing data using Bluetooth low energy (BLE). 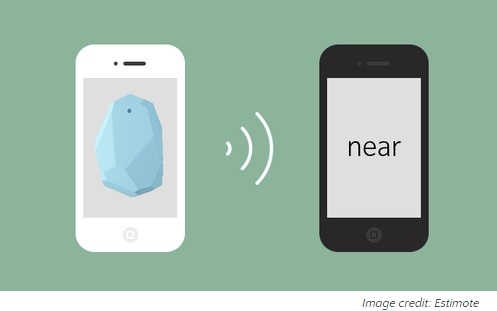 Your device can alert apps when you approach or leave a location with an iBeacon. Not only can it help you in monitoring location, an iBeacon app can even help you estimate your proximity to an iBeacon. As such, BLE communication consists primarily of advertisements or small packets of data that is transmitted at a regular interval by Beacons or other BLE enabled devices via radio waves. Furthermore, beacons that want to be “found” can broadcast, or “advertise” self-contained packets of data in set intervals – much beneficial in retail industry. However, whether you’ll pick up a signal from a beacon will also vary – since walls, doors, and other physical objects shorten signal range. Moreover, Apple has noted that signals are also affected by water, indicating that the human body itself will affect the signals. Although iBeacon arrived with iOS7 i.e. it is compatible with iPhone 4S or later, iPad (third generation and onwards) iPad mini and iPod touch (fifth generation or later); the same BLE technology is also compatible with Android 4.3 and above. But has this really empowered users to implement the technology in the real world? Well, besides Apple testing the impact of the technology since December, 2014 in its US retail stores, innovation enthusiast entity like Virgin Atlantic has also been conducting iBeacon implementation at Heathrow airport for passenger security validation; retail giant Tesco has been testing it in a London store with retailers. Talk of iBeacon applications, and the first app ideas that went up for real world implementation are related to in-store retail and offline payments. One of the primary reasons why retail businesses or industry at large are moving towards iBeacon app development is its simplicity to provide customers with product information, promote sales or deals, while speeding up the checkout process with a completely contactless payments system. iBeacon app development can have a significant impact in the travel industry as small and low-cost beacons can be used by travel brands to communicate with consumers on their Beacon-enabled app installed smartphones while they are physically present at locations such as hotels or airports. Similarly for hospitality industry, iBeacon apps can be implemented in hotels. Beacons can be strategically placed on locations around the property, and as they beam low energy Bluetooth signal, the customer will receive an alert for a special offer, or request and collect data from the app – courtesy the ‘information push notification’ issued by the signal. 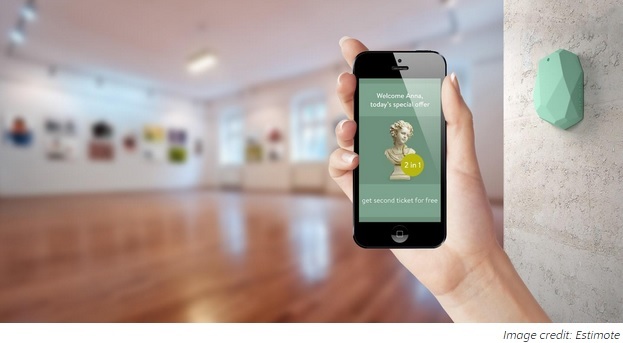 This is another sphere where the iBeacon technology can make way for revolutionizing mCommerce. There are speculation of bringing together iBeacon and Passbook, as this allows you to send a coupon while in a store and buy something without even interacting with a staff member. As of now, PayPal is creating its own PayPal Beacon technology that will empower shoppers to ‘check-in’ and pay for products from the PayPal account on their mobile devices. iBeacon app development can bring about a paradigm shift in the way your business/brand communicate with your customers. Be the first mover in the industry and see your iBeacon app development initiatives boost your business ROI in the next few years. Get in touch with our experts for more information on iBeacon app development. Vikas Mishra is Executive Director – Marketing at Hidden Brains InfoTech, a leading mobile, web and software development company. Vikas leverages digital technologies to drive competitive advantage and improve bottom-line results for clients. He is passionate about engaging with customer in the new connected world. You can follow him on Twitter, Facebook, LinkedIn.